It’s easy to forget that plenty of once-prolific volcanoes around the world have long fallen silent; geologically tame countries were often once replete with effusive or explosive eruptions. Just take Germany’s Laacher See Volcano (LSV), found in the Eifel mountain range within the Rhineland-Palatinate state. This lake-filled cauldron (“caldera”) is a rather serene site today, but it was originally forged out of fury. Around 12,900 years ago, a cataclysmic eruption, one that coated plenty of Europe in ash, was responsible for creating the crater-like edifice that we can see there today. Make no mistake: coming in at a 6 on the Volcanic Explosivity Index (VEI), which tops out at 8, this was an unmistakably huge eruption. 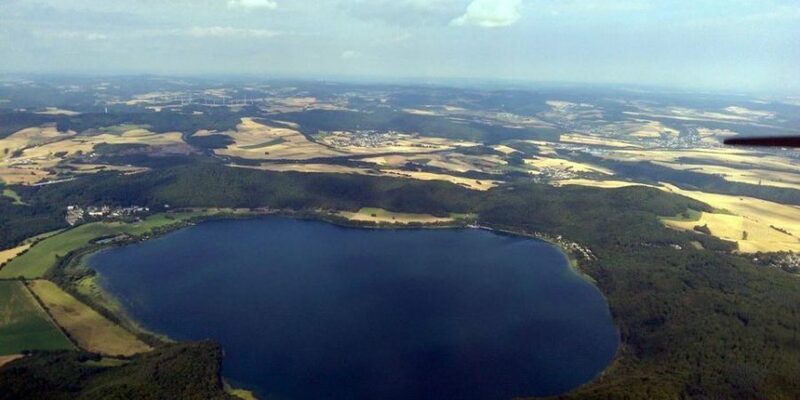 Today, according to Volcano Discovery, it’s the only caldera in Central Europe, which means that in the last 12-13,000 years, this part of the world has never seen an eruption as powerful as the one that formed LSV. Its days of volcanism aren’t necessarily done and dusted, though. 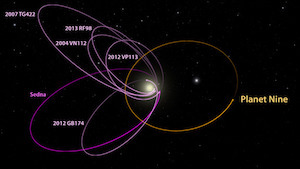 A new study, published in Geophysical Journal International, reveals that there are some curious rumblings going on beneath LSV. These specific tremors, known as deep low-frequency earthquakes, are a clear sign that magmatic fluids are on the move. That’s certainly noteworthy. The East Eifel Volcanic Field, of which LSV is part of, hasn’t experienced an eruption for roughly 12,000 years, so the movement of magma beneath the surface is something that volcanologists are keen to document and comprehend. Fascinatingly, this data means volcanism in this part of Germany wasn’t in fact snuffed out thousands of years ago, but rather – as the study’s lead author Martin Hensch, of the Southwest Seismological Service in Baden-Württemberg, put it to me – it’s “long-term dormant.” It also highlights that volcanoes almost always don’t operate according to human timescales, and determining when a volcano is “extinct” or not is more difficult that one might initially imagine. A scientific consensus has been building for some time that the East Eifel Volcanic Field isn’t extinct but dormant; perhaps one day, at an undeterminable point in the future, the LSV or the wider volcanic field itself may engage in an eruption of some sort. It won’t necessarily be a large, voluminous caldera-forming eruption like the one that created the LSV, but sure, there may be an eruption of some sort. Now, for the all-important caveat: this data in no way whatsoever implies that an eruption is just around the corner. In fact, an eruption might never happen at the site ever again. The movement of magma doesn’t indicate that it’s pooling in a shallow magma reservoir, or that it’ll inevitably move ever closer toward the surface. It just means magma is on the move, which has no bearing on whether an eruption will occur, or is even mechanically possible at the site. “Presently, we only have evidence for an obviously active magmatic system,” Hensch tells me. “We do not have any signs of a reawakening of the shallow volcanic system.” So don’t lose any sleep, fellow Europeans. LSV isn’t out to get you. Here, the high temperature conditions mean that rock moves more like an elastic substance, i.e. it flows, to a degree. Every now and then, when stress builds up when things get stuck even during those elastic-like conditions, it can cause parts of the rock to snap back, like a rubber band. That’s what was causing those deep earthquakes which, by the way, were imperceptible to humans. DLF quakes take place when something is on the move, and there’s not much down there that can move quite like partially molten magma. The seismic network then, in all likelihood, has identified the movement of magma beneath the LSV, and it appears that it’s moving in a vertical (i.e. up-down) manner. There’s a small chance that it might not be magma moving, but other geothermal fluids under a lot of pressure, but the team are placing their bets on magma. As it happens, LSV has come in for a bit of fearmongering in the past. Despite the fact that the eruption that formed the caldera is really the only major eruption that’s taken place at that specific site, tabloids have occasionally latched onto new LSV studies to generate erroneous, scary-sounding conclusions. As point out by WIRED a few years back, it doesn’t take much. Not too long ago, when carbon dioxide was seen bubbling up into the caldera’s lake, scientists reported on it and described it as a product of magma degassing. Sadly, that rather innocuous event triggered headlines screaming about the end of times for those as far away as London. Let me be clear: nothing worrying is happening or is about to happen in Germany, volcanically speaking. What is happening is that magma is moving around beneath a volcano in a part of the world that isn’t normally associated with volcanism, at least in the minds of the general public.